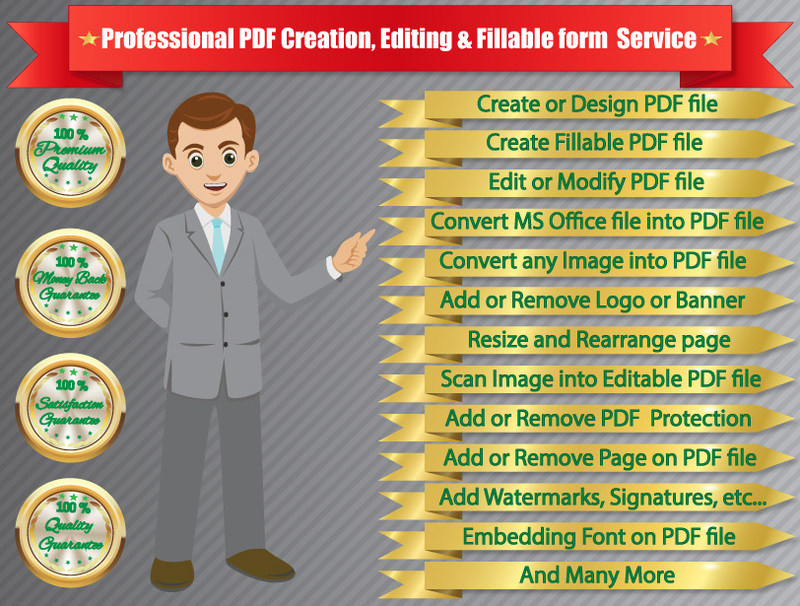 Are you looking for a professional to edit PDF/create a interactive fillable PDF form? You are in the right place. 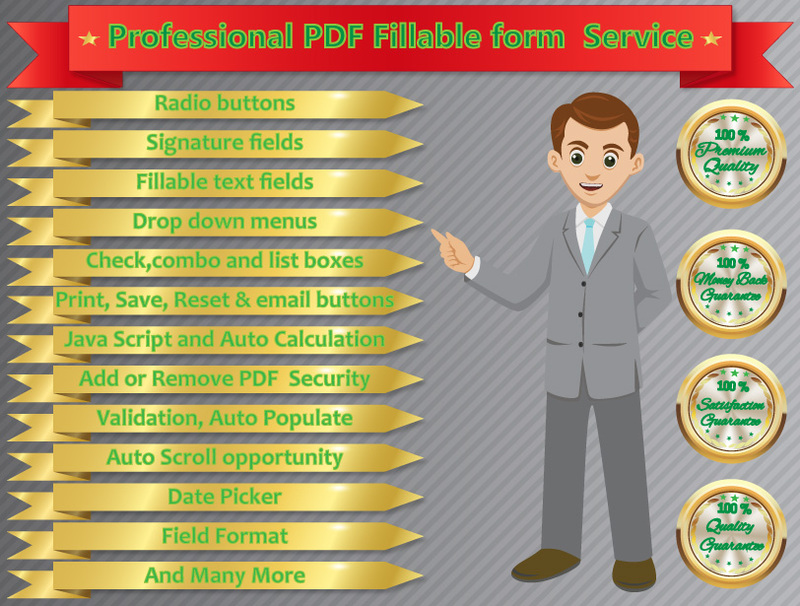 I will edit PDF files or create fillable PDF form using your existing forms such as PDFs, Word, Excel, Scanned document Images, etc. * Drop-down menus and lists. 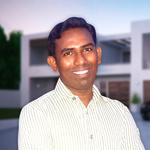 N. B: If u want to redesign your scanned form & make it fillable, please contact me so that I can confirm whether I can able to work that you require and I available for this project. thanks.